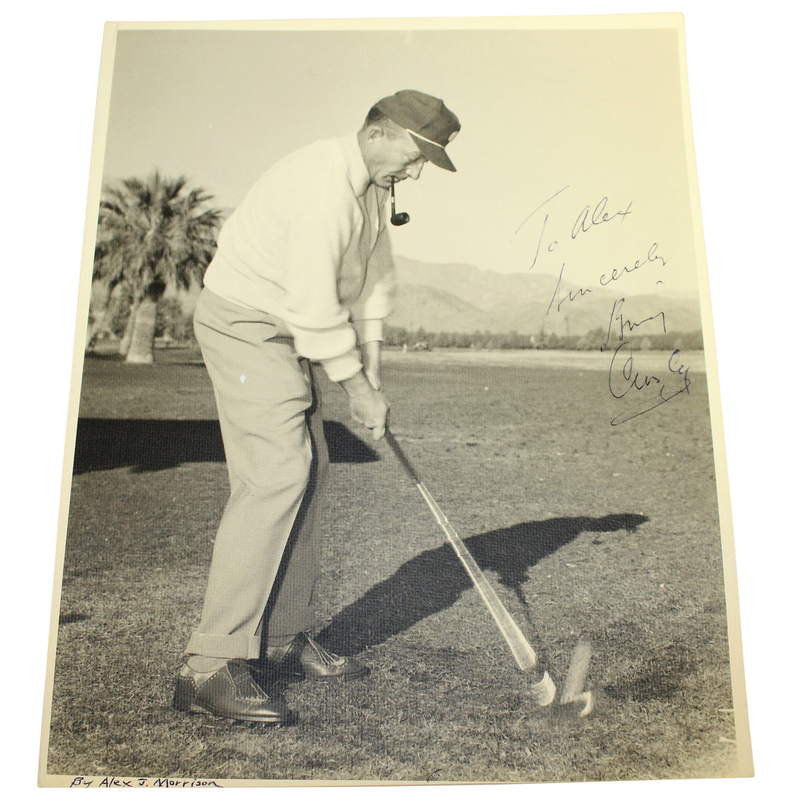 Offered here is an 11" x 14" photo of Bing Crosby swinging a golf club. 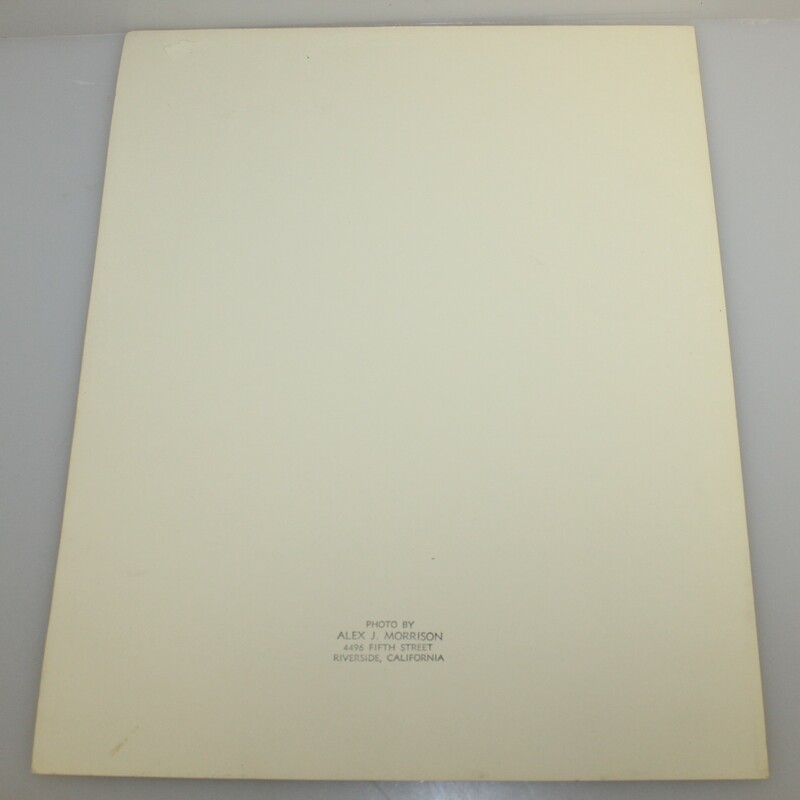 Alex J. Morrison took the photo, his stamp appearing on the back. Crosby signed the photo "To Alex, Sincerely, Bing Crosby." 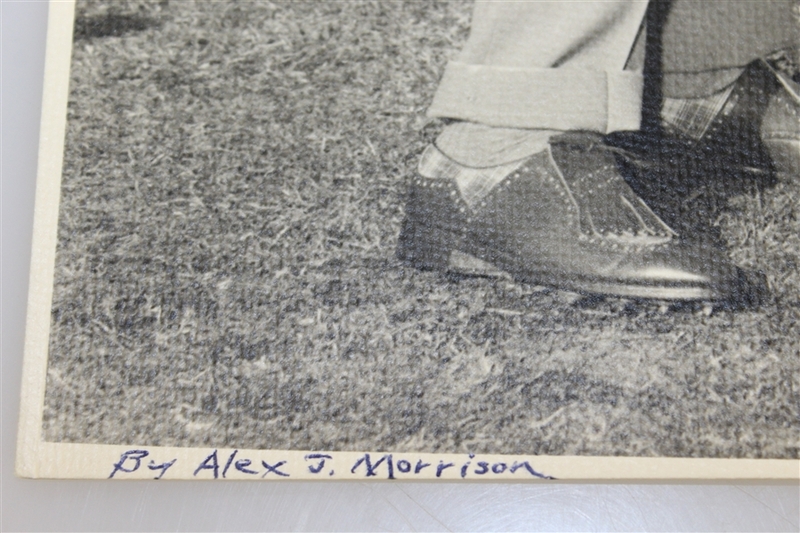 Morrison was one of the most respected golf theorists in the 1930's. 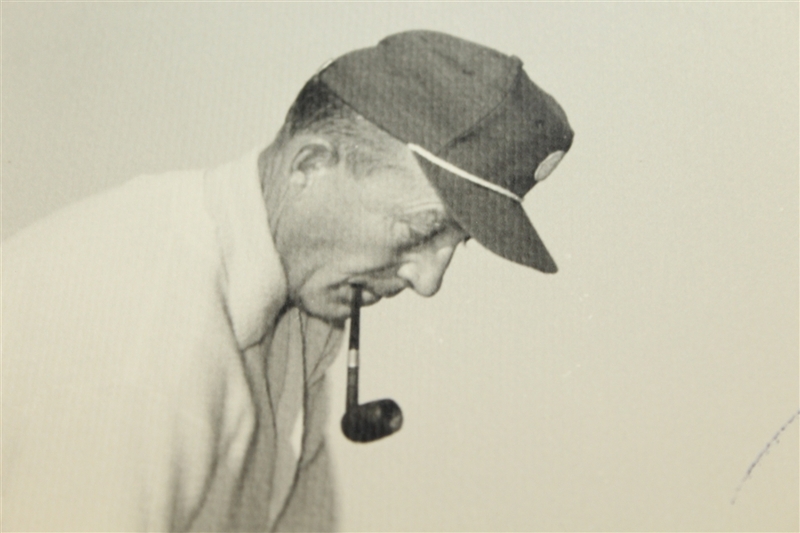 He traveled the country teaching his own take on the golf swing, stating that golf was "90% mental, 8% physical, and 2% mechanical." 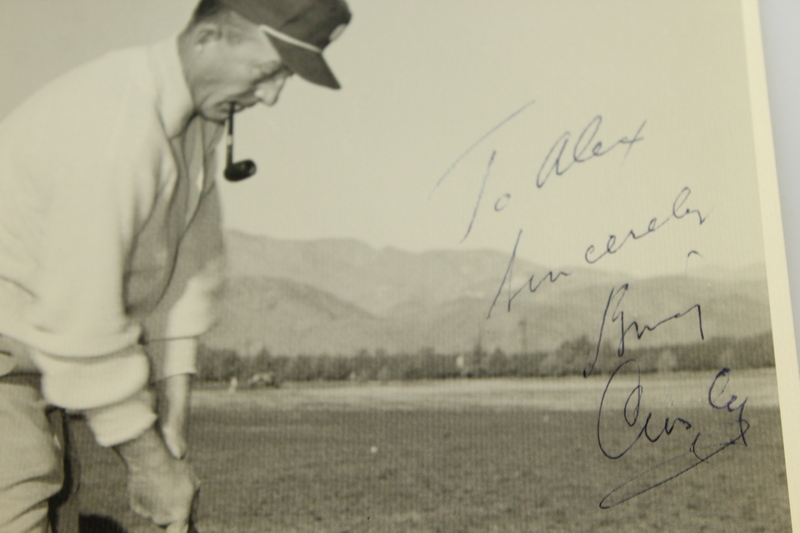 Bing Crosby the beloved entertainer was an avid golfer and founded the Bing Crosby Pro-Am.